The genesis of this book filled with photographs never gets clearly explained, but it appears to have been published in conjunction with a 1992 special exhibit of a Japanese midget submarine at the Australian National Maritime Museum in Sydney. The midget submarine is normally on display at the Australian War Memorial in Canberra, but it seems to have received some restoration work prior to the special exhibit in Sydney based on information provided in the rather unexciting five-page appendix that provides technical details on the restoration. The book provides no information on the author and lacks a bibliography, although the narrative mentions a few sources such as Australia Under Siege: Japanese Submarine Raiders 1942 (1982) by Steven Carruthers. Photographs, maps, and diagrams take up more than half the book. The well-drawn diagrams of the midget submarine and the maps of the routes taken by the three midget submarines and the reconnaissance flight made by a Japanese pilot two days prior to the attack help readers better understand the events. A few details contained in the maps and book's narrative have been shown to be incorrect based on subsequent research, which is best summarized in A Very Rude Awakening (2007) by Peter Grose. 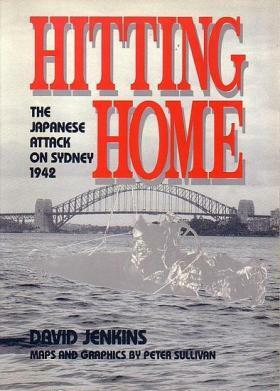 The book's first part provides background to the attack on Sydney Harbor by three midget submarines on the night of May 31 and June 1, 1942, but some of the material does not have a close connection to the attack. The middle part effectively summarizes what happened during the attack. The last part drifts somewhat from the subtitle's topic of The Japanese Attack on Sydney 1942 as there is extended discussion of subsequent Japanese submarine attacks on Australian commercial shipping and the shelling of Australian cities by submarines on the surface off the coast. 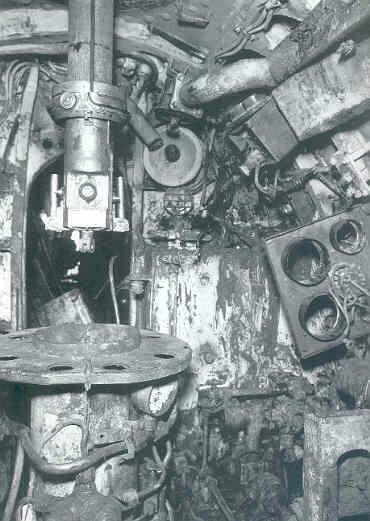 This history has little to offer that is not covered by Peter Grose and Steven Carruthers in their books on the Japanese midget submarine attack in Sydney Harbor, but Hitting Home has a few interesting features. Four pages, including three photos, cover the reconnaissance flight piloted by Susumu Ito over Sydney Harbor in a floatplane launched from submarine I-21 in the early morning hours of May 29, 1942. The book includes extended quotations from Ito about the flight. He and his navigator/gunner almost lost their lives when their plane flipped over when trying to land with fairly high waves at night, but they managed to get out quickly from the capsized aircraft and grabbed a rope thrown from the nearby mother submarine. Another worthy-of-note section in the book covers the tour of a Japanese midget submarine throughout southern Australia to help raise funds for the Australian Comforts Fund, which sent food and recreation items to troops stationed overseas. The midget submarine that toured the country was constructed with the bow section from one recovered submarine and with the midship and stern section from the other midget that was salvaged. This midget submarine is the one now on exhibit at the Australian War Memorial in Canberra.